sooo i'm home for spring break and i decided the other day to raid my dad's closet! 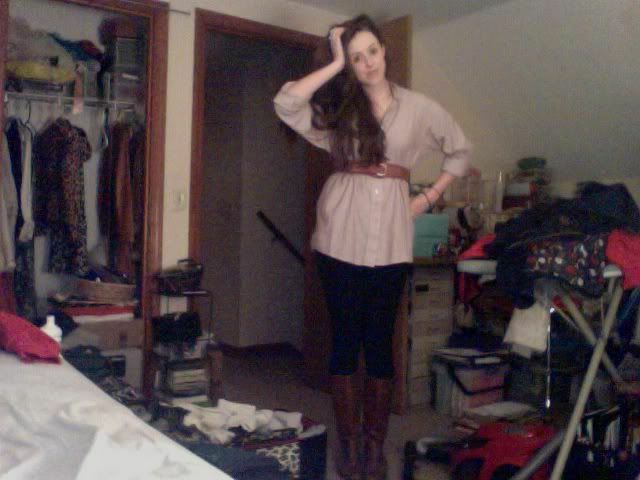 i found this long sleeve button up that i thought could be really cute belted! what do you girls think? what pattern does it have? are those stripes? 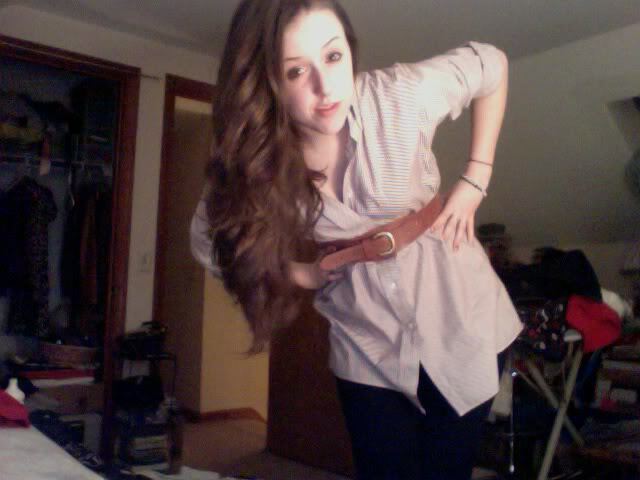 That looks really nice Gina, but I think it would be even better if the belt was a little lower down. Any other good finds in your dads closet? Subject: Re: raided dad's closet!